Windows is no different. By default, it comes with a decent built-in firewall which is capable of controlling all the incoming and outgoing traffic. This built-in Windows firewall is a bit clunky with a not-so-friendly user interface and complex rules, though it does gives you plenty of control on overall rules like blocking, restricting, whitelisting, etc. In this article, we are going to show you how to create advanced firewall rules in Windows firewall to block an application from accessing the Internet. To create an advanced firewall rule in Windows firewall, you need access to the Windows advanced firewall settings. 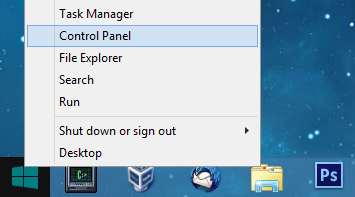 Press “Win + X” and select “Control Panel” from the power user menu. Here in the control panel, scroll down and select the option “Windows Firewall.” Make sure that you set your “View by” as small or large icons. The above action opens Windows firewall settings. Click “Advanced Settings” link on the left pane. 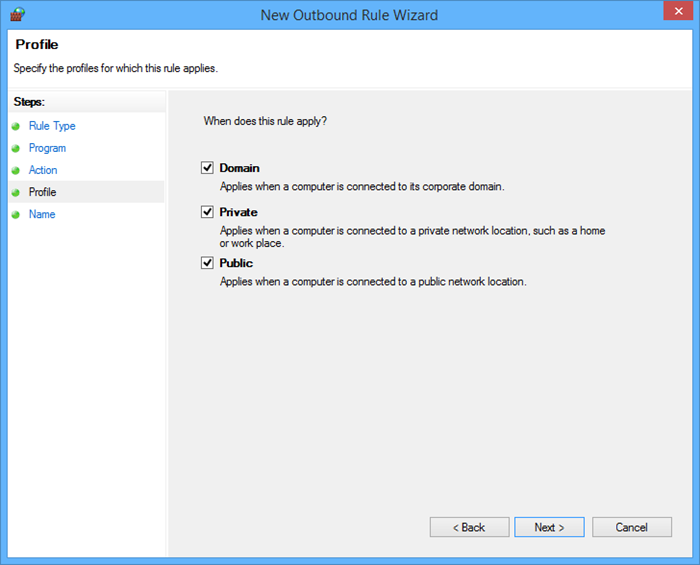 Here in the advanced firewall settings window, you can see the rules set to all the inbound and outbound connections. 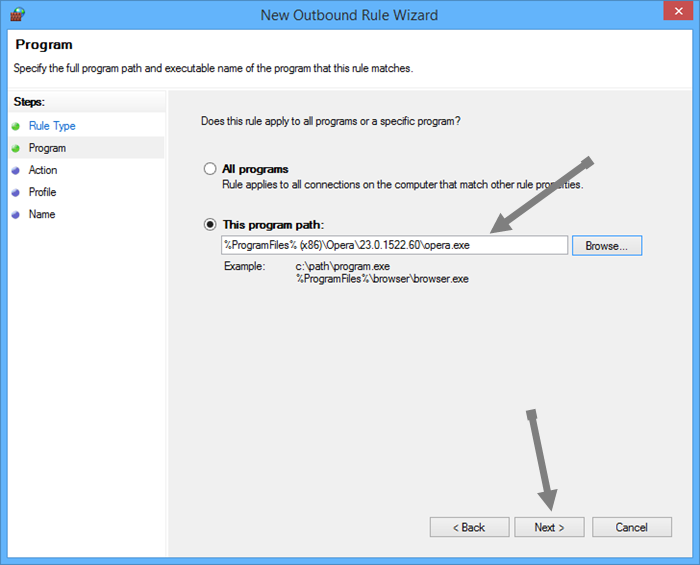 Now to block an application from accessing the Internet, you can create an outbound rule set to block any outgoing connections from that application. To do that, select the link “New Rule” under the actions tab on the right pane. 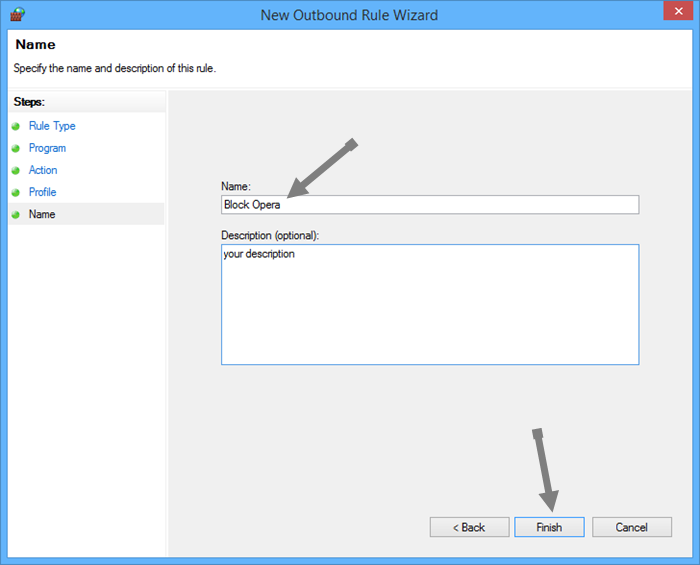 The above action will open the “New outbound rule wizard” window. Since we are blocking a program from accessing the Internet, select the radio button “program” and click on the “Next” button. In the next window, select “All programs” if you want to block all the programs from accessing the Internet. If not, select the radio button “This program path,” click on the Browse button and select the program you want to block. Now click on the “Next” button to continue. In my case, I want to block all the outbound connections generated by the Opera browser. Here in this window, you will have three options; you can either “allow all the outbound connections” or “only if it is secure,” or you can “block all the outbound connections.” Since we want to block all the outbound connections, select the radio button “Block the connection” and click on the “Next” button. Now you need to select a profile to which this rule should apply. You can either select all the profiles or a specific profile to apply the rule. For example, if you want the program to be blocked when you are using public Internet connections (like Public-WiFi), then just select the profile “Public.” If you want to block the program entirely, then select all three profiles. Once you have selected the profiles, click on the “Next” button to continue. Here in the name screen, enter the name and description of the rule for future reference. Click on the “Finish” button to complete the process of creating a rule in the Windows firewall. Once the rule is created, you can see that rule in the “Windows firewall with advanced security” window. From this point forward, the application or program you blocked in the Windows firewall can no longer access the Internet. 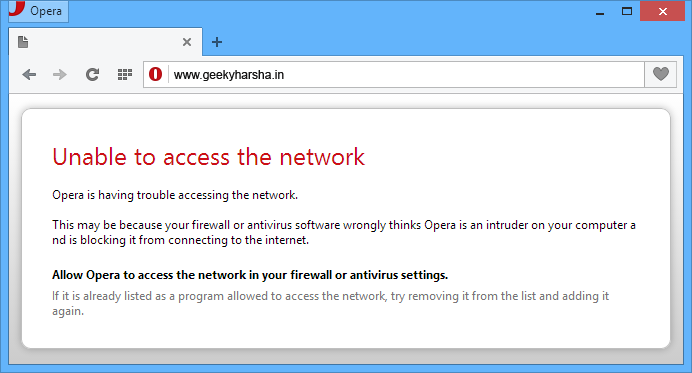 In my case, Opera browser cannot access the Internet unless I change or disable the rule in the Windows firewall settings. If you ever want to disable, modify or delete the rule, just right click on that specific rule and select the appropriate option. 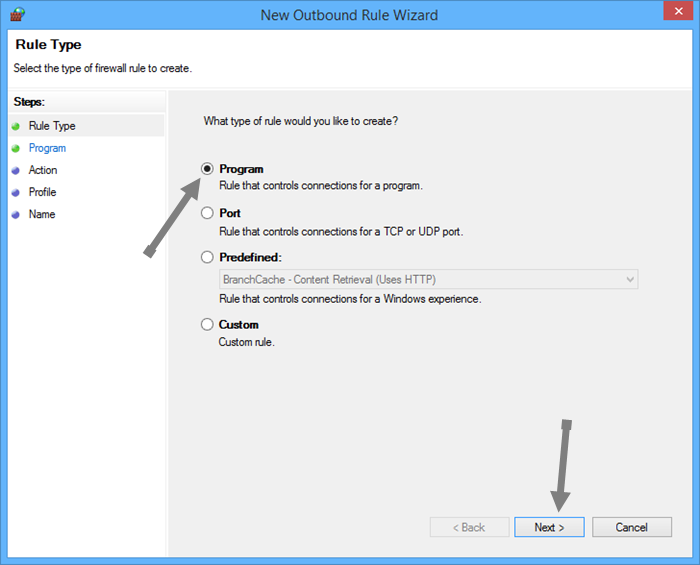 It is that easy to create a rule to block a program and this same procedure applies to the inbound rules. Besides blocking a program, you can restrict ports, port range, protocols, IP addresses, etc., and you can even create more advanced and custom rules for your applications and needs. Windows firewall is pretty advanced and it may take some time to get around. The good thing is, once you worked out how it works, you can get it to block any application the way you want it to. Do comment below if you have any problems while setting up the rules or to share your thoughts and experiences on Windows Firewall.